Autumn Island Getaways! Rates from $179, Sundays through Wednesdays from October 2018 through February 2019; Use Code SSICOM and get an additional 20% off. 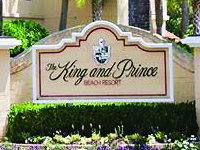 Located on St. Simons Island, Georgia, the King and Prince Beach & Golf Resort welcomes you to enjoy all of the luxury and amenities that the resort has to offer. This historic ocean front retreat, where relaxation, inspiration and recreation reside in equal measure, has been heralded by guests since its opening in 1935. (800) 342-0212. 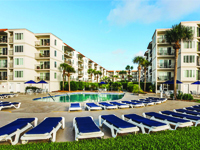 The Beach Club offers a selection of 1, 2, and 3 bedroom fully furnished vacation condominiums. Each residence features a kitchen, balcony, and living room. Resort amenities include a swimming pool, two hot tubs, a tennis court, fitness center, game room, and business center. 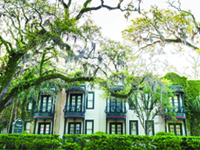 Nestled under the ancient St. Simons Island live oak trees and between the parks and the historic oceanfront Village, you will find our unique Inn. A beautifully restored 1930s beach cottage, with its original stone fireplace, serves as the Inn’s pub and public rooms. (912) 634-6056. Travel Spotlight on St. Simons Island and Its 14 Best Attractions – Hopper Blog! By Jessica Wei! St. Simons is the largest of Georgia’s aptly named network of Golden Isles and offers a variety of attractions for the whole family, romantic and Southern-infused restaurants serving ever-fresh seafood from the Atlantic Ocean, plenty of historic parks and buildings, designer golf courses, and endless coastline.